Personal bankruptcy is a compelling choice for many households struggling to keep a home and personal property. You may have thought “bankruptcy-no way,” or as the option of last resort. If you have a source of income, though less than what you used to earn, then reorganizing your household debt under a bankruptcy plan may be your saving grace. 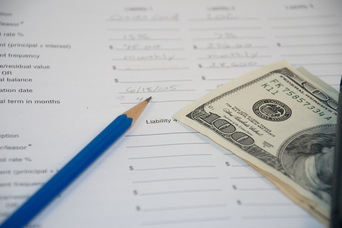 Consider that filing a bankruptcy petition gives you immediate relief from creditors. It gives you the chance to save your home from foreclosure, to keep a wage garnishment from going into effect or to keep a creditor from enforcing a judgment lien. It gives you the chance to pay past due taxes in full and without interest. If you owe child support, Chapter 13 gives you the plan for paying it all back. If you feel harassed by a single creditor or badgered by too many, call Snow Law Firm for a free consultation. Attorney Hendrik Snow can present you with options for dealing with a single debt or with many under the right chapter of the bankruptcy code. Whether you are a single individual, married couple, small business or family farmer, he can discuss the best choices of bankruptcy protection and how best to meet your personal goals. Chapter 7 bankruptcy is a standard choice for eliminating debts that are not secured by collateral. Though this debt relief allows you to keep only a limited value of personal and real property, it eliminates the credit card debt, medical debt, cash advance debt and other unsecured loans. Chapter 13 is debt reorganization. If you are behind in mortgage payments, Chapter 13 allows you to keep your home and to pay back the mortgage default. If you owe income taxes, the plan allows this debt to be paid in full without accruing interest and penalties. If your child support is past due, the Chapter 13 plan allows you to pay back child support obligation without penalties and interest. 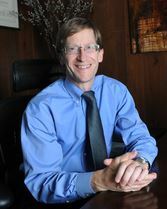 Hendrik Snow is ready to talk with you about debt relief and whether bankruptcy is right for you. There is no charge for his consultation. Get in touch with him today before you spend any more of your savings, negotiate any agreements with individual creditors, liquidate a retirement plan or sell or transfer any property to friends or relatives. We are a debt-relief agency. We help people file for bankruptcy under the Bankruptcy Code.